The Central Drugs Standard Control Organisation and its chairman Drug Controller general of India are bequeathed to protect the citizens from the marketing of unsafe medication. The startling findings, of the 59 th report of the Parliamentary Standing Committee on Health and Family Welfare, have uncovered the lax standards followed by the regulatory authorities in India. The growing clinical research after the product patents rights for the pharmaceutical industries as per the trade related aspects of intellectual property rights agreement and adverse drug reaction monitoring of the marketed drugs have raised many ethical and regulatory issues regarding the promotion of new drugs in Indian markets. Many controversial group of medicines; unauthorised and irrational FDCs not relevant to India's medical needs, are available which are not sold in any of the countries with matured regulatory bodies. It becomes vital to understand the history, growth and evolution of the regulatory aspects of drugs which are handled by multiple Ministries and Departments of the Government of India. Although amendment to Schedule Y, registration of Contract Research Organisations, registration of Clinical Trials, Speeding up review process, Pharmacovigilance (PhV) programme for India and Inspection of clinical trial sites have been started by the various regulatory agencies. 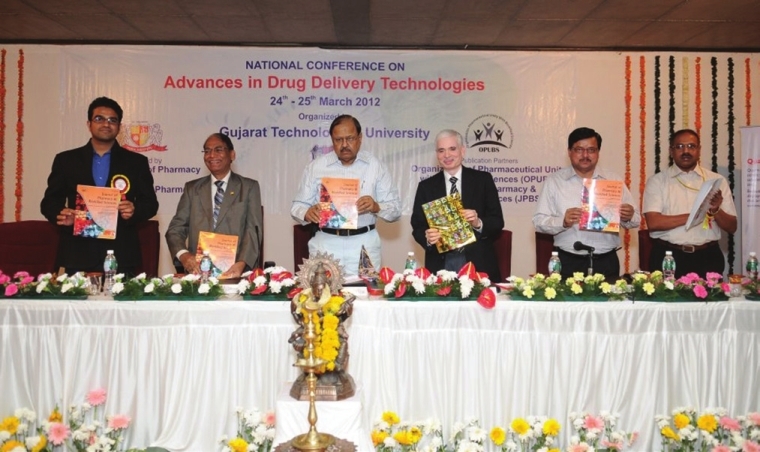 However due to casual approach in marketing approval for sale of the drugs, the unethical steps taken by some pharmaceutical companies and medical practitioners has reiterated the need to get appropriate understanding of present regulation of drugs and clinical research especially regarding the practical rules and regulations. Acquired immunodeficiency syndrome (AIDS) has become a pandemic with ever looming danger of its transmission in health professionals. The number of AIDS patients has increased tremendously over the last two decades, who present for surgical procedures as well as who get admitted in intensive care unit for their critical condition. As such anesthesiologists and intensivists are exposed to potential risk of disease transmission on a daily basis from such patients. The guidelines and protocols formulated in the western world regarding prevention of disease transmission cannot be applied uniformly in the developing nations, such as India due to various factors and limitations. As such there is a continuous need felt in this arena to prevent the catastrophic consequences of AIDS in our medical fraternity while treating such patients in operation theatres and critical care units. This study reviews the various pathophysiological aspects, anesthetic considerations, intensive care implications, and various areas where current knowledge about AIDS can be applied to prevent its potential transmission in high-risk clinical groups. Acanthus ilicifolius (Acanthaceae) has received considerable attention due to its wide range of secondary metabolites and its traditional usage in Indian and Chinese system of medicine. This plant is reported to be a mangrove. Mangrove survives in the most hostile environment with fluctuating tidal and saline regime. Hence, these plants are considered to be rich sources of steroids, triterpenoids, saponins, flavonoids, alkaloids, and tannins. Present review article is an attempt to cover recent developments in phytochemical and pharmacological potential of drug. Traditionally, the plant has been used for dyspepsia, paralysis, asthsma, headache, rheumatism, and skin diseases. The plant is known as 'Krishnasaireyaka' or 'Karimkurunji', is one of the 9 plants equated to the drug 'Sahachara,' which is used in Ayurvedic medicine for rheumatic complaints. The plant has not been explored to its full potential. The review will be a good reference tool for investigators who wish to work on natural compounds with free radical scavenging activity to combat diseases associated with stress. Chitin, the second most abundant polysaccharide in nature after cellulose, is found in the exoskeleton of insects, fungi, yeast, and algae, and in the internal structures of other vertebrates. Chitinases are enzymes that degrade chitin. Chitinases contribute to the generation of carbon and nitrogen in the ecosystem. Chitin and chitinolytic enzymes are gaining importance for their biotechnological applications, especially the chitinases exploited in agriculture fields to control pathogens. Chitinases have a use in human health care, especially in human diseases like asthma. Chitinases have wide-ranging applications including the preparation of pharmaceutically important chitooligosaccharides and N-acetyl D glucosamine, preparation of single-cell protein, isolation of protoplasts from fungi and yeast, control of pathogenic fungi, treatment of chitinous waste, mosquito control and morphogenesis, etc. In this review, the various types of chitinases and the chitinases found in different organisms such as bacteria, plants, fungi, and mammals are discussed. Osteoarthritis (OA) is progressive joint disease characterized by joint inflammation and a reparative bone response and is one of the top five most disabling conditions that affects more than one-third of persons > 65 years of age, with an average estimation of about 30 million Americans currently affected by this disease. Global estimates reveal more than 100 million people are affected by OA. The financial expenditures for the care of persons with OA are estimated at a total annual national cost estimate of $15.5-$28.6 billion per year. As the number of people >65 years increases, so does the prevalence of OA and the need for cost-effective treatment and care. Developing a treatment strategy which encompasses the underlying physiology of degenerative joint disease is crucial, but it should be considerate to the different age ranges and different population needs. This paper focuses on different exercise and treatment protocols (pharmacological and non-pharmacological), the outcomes of a rehabilitation center, clinician-directed program versus an at home directed individual program to view what parameters are best at reducing pain, increasing functional independence, and reducing cost for persons diagnosed with knee OA. 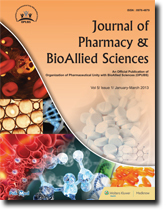 Purpose: The present paper demonstrates the utility of PASS computer-aided program and makes a clear comparison of predicted and observed pharmacological properties of some novel 5-[(2E)-1-(1H-benzimidazol-2-yl)-3-substituted phenylprop-2-en-1-ylidene] pyrimidine-2, 4, 6 (1H, 3H, 5H)-triones (5a-f). Materials and Methods: The synthesis of the titled derivatives were achieved by the reaction between 2E)-1-(1H-benzimidazol-2-yl)-3-phenylprop-2-en-1-ones (4a-f) and barbituric acid in the presence of catalytic amount of acetic acid medium. All the final structures were assigned on the basis of IR, 1 HNMR and mass spectra analysis. All the newly synthesized compounds were screened for their antiulcer activity in the pylorus-ligated rats. Results: Compounds 5b, 5e and 5c showed a percentage protection of (69.58, 69.56 and 67.17 at a dose of 50 mg/kg b.w.) when compared to standard omeprazole (77.37%, 2 mg/kg b.w.). Conclusion: Scanning of stomach specimens using electron microscope revealed that the mice treated with standard and synthetic derivatives had no injury observed in stomach mucosa, which is identical to that of the control animal. Aim: It is important in toxicological/drug screening work to rule out the possible interfering analytes, to eliminate the false positive or negative results. In this paper, we describe a simple, selective, and sensitive derivatized GC-MS method for the determination of cyclohexylsulfamic acid (cyclamate) in urine. Materials and Methods: Elite- 5MS capillary column was used for the separation of analytes and detection using GC-MS. The analysis was carried out in selected ion monitoring mode (SIM) in the range of 26 to 200 using m/z values of 57, 30, 55, 41, 44, 67, 82, 98, and 39. Results and Discussion: The method is based on the conversion of cyclamate into nitroso derivative of cyclamate followed by its gas chromatography-mass spectrometry determination. The limit of detection, limit of quantitation, and linearity range of the proposed method were found to be 0.2 μg/ ml, 0.7 μg/ml, and 1-15 μg/ml, respectively. 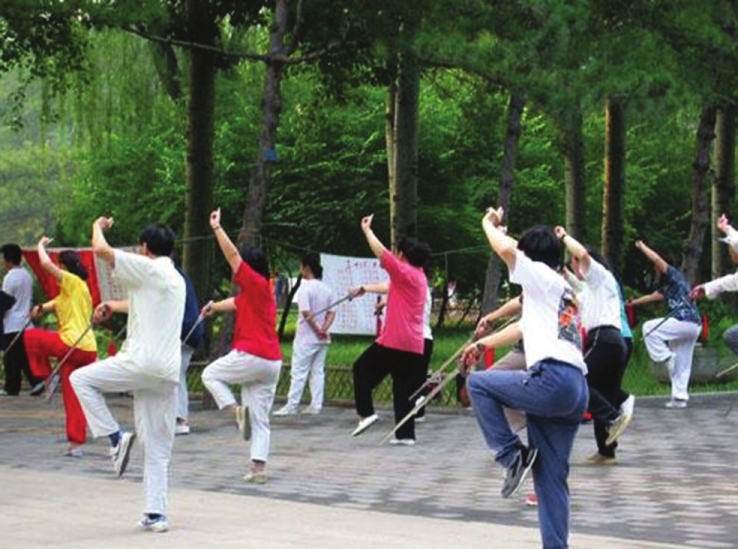 The recovery of the present method is in the range of 88-94%. Conclusion: The proposed method can be applied for detection and quantification of cyclamate in urine. Objective: A simple, rapid, reverse phase and stability-indicating high-performance liquid chromatography (HPLC) method for the estimation of imatinib in solution and in plasma under forced degradation conditions was developed. Materials and Methods: The method employed isocratic elution using a Waters Atlantis C18 (5 μ, 4.6 mm × 150 mm) HPLC column. The mobile phase consisted of acetonitrile and 10 mM KH 2 PO 4 buffer in the ratio of 35:65 (v/v, pH = 4.6), which was delivered using isocratic flow at a rate of 1 mL/min. The injection volume of 50 μL and imatinib was monitored using UV detection 270 nm after a clean-up step with diethyl ether and with a total run time of 6 min. Results: The method was validated in solution as well as in plasma, and the response was found to be linear in the concentration range of 0.5-20 μg/mL. The coefficient of correlation was found to be >0.99. Forced degradation studies revealed that imatinib undergoes degradation under different stress conditions. Discussion: The developed HPLC method could effectively resolve degradation product peaks from imatinib except at neutral pH. Further, no interference was found at the retention time of imatinib from any plasma components, indicating selectivity of the developed method. The limits of detection and quantitation of the method were 0.025 and 0.5 μg/mL, respectively. Background: Grewia gum has received attention as a polymeric pharmaceutical excipient in the recent times, being employed as a suspending, film coating, mucoadhesive, and binding agent. 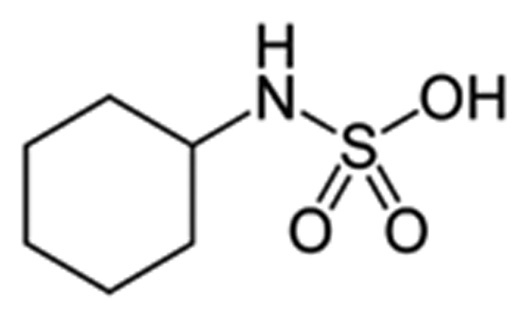 The low aqueous solubility, however, has limited its characterization and application. Objective: The purpose of this study was to fractionate and evaluate some physicochemical properties of the gum. Materials and Methods: Aqueous dispersion of the gum was treated at 80΀C for 30 min in the presence of sodium chloride and was subsequently fractionated by successively centrifuging it at 3445 rpm for 30 min. Skeletal density, solubility, particle size, and rheological as well as thermal characteristics of the fractions were evaluated. The 1 H nuclear magnetic resonance (NMR) and near infrared (NIR) profiles of the fractions were also investigated. The solubility of the gum increased up to fourfold while the viscosity decreased from 244 to as low as70 cP at 40 rpm with some fractions. Results: Grewia gum and the fractions showed good thermal stability exhibiting no thermal events, but charred irreversibly at 297΀C irrespective of the fraction. The molecular weight averages by weight and by number of the fractions were between 233,100 and 235,000. The 1 H nuclear magnetic resonance (NMR) spectra showed broad peaks. The NMR and NIR spectra suggested the presence of -OH and -OCH 3 functional groups in this gum. Conclusion: The fractionation improved solubility and facilitated further investigations on its characteristics that may have implication on its processing, application, and optimization as a potential pharmaceutical excipient. 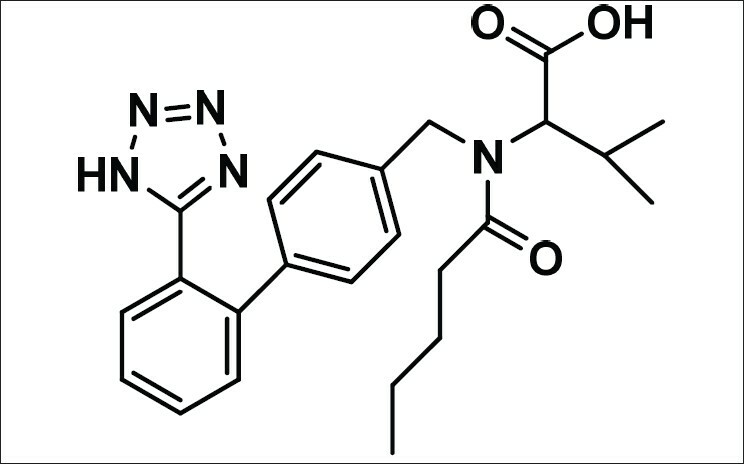 Objective: A simple, precise, and stability indicating high performance liquid chromatography (HPLC) method was developed and validated for the simultaneous determination of propranolol hydrochloride and valsartan in pharmaceutical dosage form. Materials and Methods: The method involves the use of easily available inexpensive laboratory reagents. The separation was achieved on Hypersil ODS C-18 column (250*4.6 mm, i.d., 5 μm particle size) with isocratic flow with UV detector. The mobile phase at a flow rate of 1.0 mL/min consisted of acetonitrile, methanol, and 0.01 M disodium hydrogen phosphate (pH 3.5) in the ratio of 50:35:15 v/v. Results: A linear response was observed over the concentration range 5-50 μg/mL of propranolol and the concentration range 4-32 μg/mL of valsartan. Limit of detection and limit of quantitation for propranolol were 0.27 μg/mL and 0.85 μg/mL, and for valsartan were 0.45 μg/mL and 1.39 μg/mL, respectively. The method was successfully validated in accordance to ICH guidelines acceptance criteria for linearity, accuracy, precision, specificity, robustness. Conclusion: The analysis concluded that the method was selective for simultaneous estimation of propranolol and valsartan can be potentially used for the estimation of these drugs in combined dosage form. Background: HIV-1 has numerous proteins encoded within its genome, which acquaints it with the required arsenal to establish a favorable host cell environment suitable for viral replication and pathogenesis. Among these proteins, one protein that is indispensable and ambiguous is the Nef protein. Aim: Interaction of Nef protein with different host-cell protein was predicted and subsequently the down regulation of cluster of differentiation 4 (CD4) was targeted through designing of inhibitors of Nef protein for either preventing or if not at least delaying pathogenesis. Materials and Methods: The interaction network of Nef protein with host-cell proteins were predicted by PIMRider. Analogue of Lopinavir were prepared and evaluated considering all factors affecting the drug stability and toxicity. Finally Docking simulation were performed using an Auto-Dock Tool 4.0. Results: In the interaction network of Nef protein with different host-cell proteins it was found out that 22 host cell proteins are involved in the interaction and execution of different types of functions in host cell but these functions are altered with the interaction with the Nef protein. 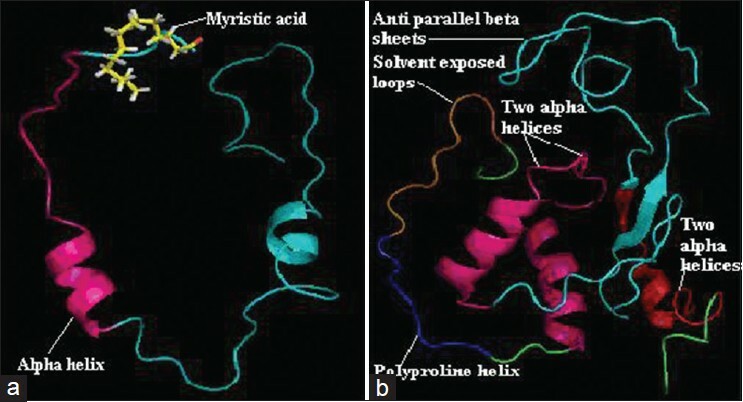 After extensive and controlled in silico analysis it has been observed that the analogue LOPI1 binds to Nef protein (2NEF) at CD4 interacting site residues giving minimum binding energy of −7.68 Kcal/mole, low Ki value of 2.34 μM, maximum number of hydrogen bonds (8), good absorption, distribution, metabolism and excretion properties, and less toxicity in comparison with the standard Lopinavir against HIV1 protease (1HPV). Conclusion: The newly designed analogue (LOPI1) is showing significant in silico interaction with Nef protein and protease and can be taken forward as a potent drug lead, which may finally emerge out to be even better than the standard Lopinavir. 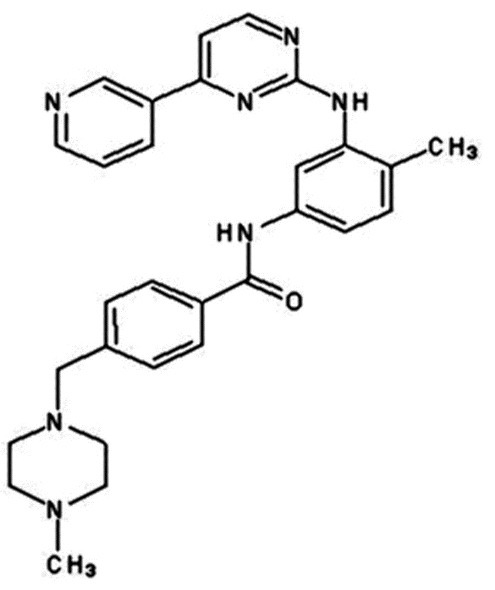 Purpose: For the determination of desloratadine (DES) and 3-OH desloratadine (3-OHD) in human plasma using deutrated desloratadine (DESD5) as internal standard (IS), a novel stability indicating liquid chromatography-tandem mass spectrometric method was developed and validated to support the clinical advancement. Materials and Methods: The solid-phase extraction method used for sample preparation and calibration range was 100-11,000 pg/ml, for which a quadratic regression (1/x 2 ) was best fitted. The blank plasma was screened and observed free from any endogenous interference. Results: The accuracy (% nominal) at low limit of quantification LLOQ level for DES and 3-OHD was 100.4% and 99.9% whereas precision (%CV) was 4.6 and 5.1%. They (DES and 3-OHD) were stable in human plasma after five freeze-thaw cycles, at room temperature for 23.8 hour, bench top stability for 6.4 hour. Conclusion: This method fulfills all the regulatory requirements for selectivity, sensitivity, precision, accuracy, stability, goodness of fit, and ruggedness of the method for the determination of DES and 3-OHD in human plasma.